NAPLES ME (9/28) Andy Shaw #66 passed under the checkers first in the PASS Mod season finale at Beech Ridge Motor Speedway to claim his fifth win of the 2010 season and the 2010 PASS Mod Championship. The Center Conway New Hampshire racer’s 2010 statistics are enviable, to say the least. A batting average of .500 is unheard of in most every sport but Shaw managed to win fifty percent of the ten race PASS Mod schedule and finish in the top five in all ten starts. 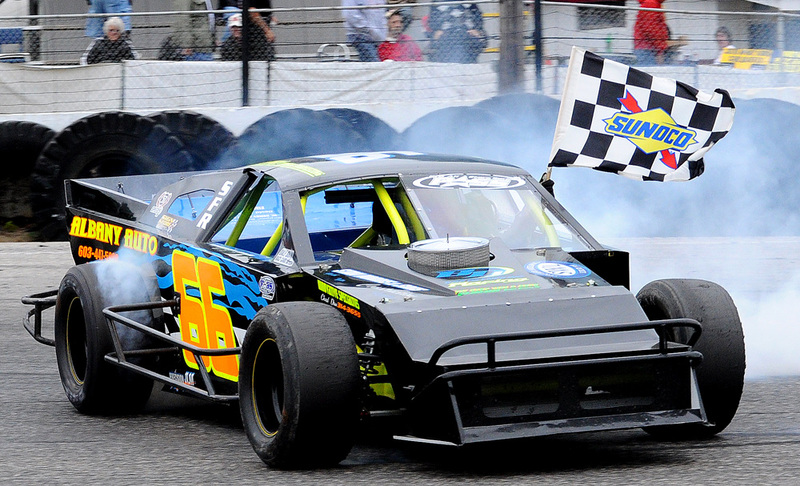 The Team 66 gang took home wins at Riverside Speedway (2), Beech Ridge Motor Speedway (2) and Canaan Fair Speedway. Shaw topped Alan Wilson and Scott McDaniel by 51 markers in the final point tally. Twenty one different drivers attempted one or more Mod series races in 2010. Shaw now has ten feature wins since making the move to the affordable PASS open wheelers in 2008. Like any championship team there’s a whole bunch of individuals behind the scenes that played a role in Shaw’s success. Michael Sheaff, Steve Chaput, Tony Mason, Mark Lundblad & Mark Lundblad Jr all played important roles in the championship season. Shaw’s 2010 sponsors include PetExpectations.com, Dale Shaw Race Cars, Albany Auto, Khiel Excavation, Speed51.com, Precision JLM, Innovative Specialties and Finish Line Photography. Shaw ‘s title carried on a family championship legacy that began with his grandfather Henry Shaw Sr. and continued with his dad Henry Jr., his Uncle Dale Shaw and his cousin D.J. Shaw. Cousin Crystal Shaw Weir shares ownership of Shaw’s PASS Mod with her husband Dave. Alan Wilson #53 hasn’t been a rookie for a long, long time but the Hebron Maine racer took on that role in 2010 when he decided to make his move to PASS Mods. The popular veteran earned his first series win at Spud Speedway and scored six top fives along the way. Scott McDaniel #14 had plenty of top threes amongst his seven top fives. Wayne Whitten Jr. #2 and Bill Dixon #33 each scored a win on their way to fourth and fifth in the final standings. 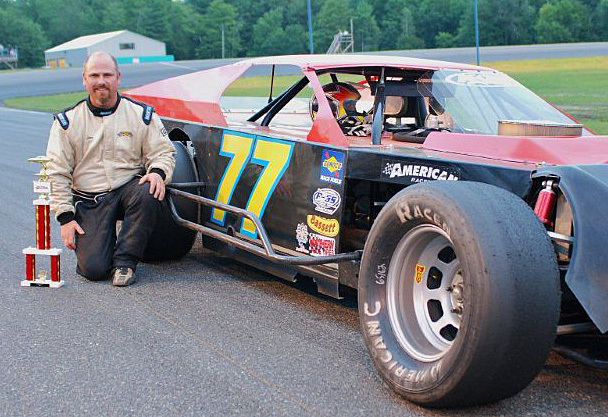 Jon Brill #77 and Sumner Sessions #50 started all ten events, earning six and seventh in the final tally. 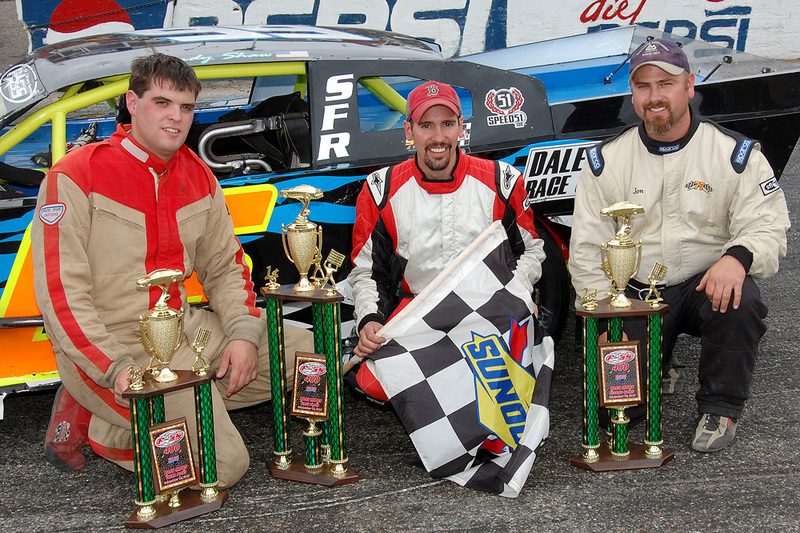 Leo Oliveira #53 and 2006 and 2007 series champ Chris Staples #5 each visited the winner’s circle on one occasion. and Jon Brill #77, 2nd. Winner Alan WIlson #53; and Scott McDaniel #14, 2nd. and Scott MacDaniel #14, 2nd. 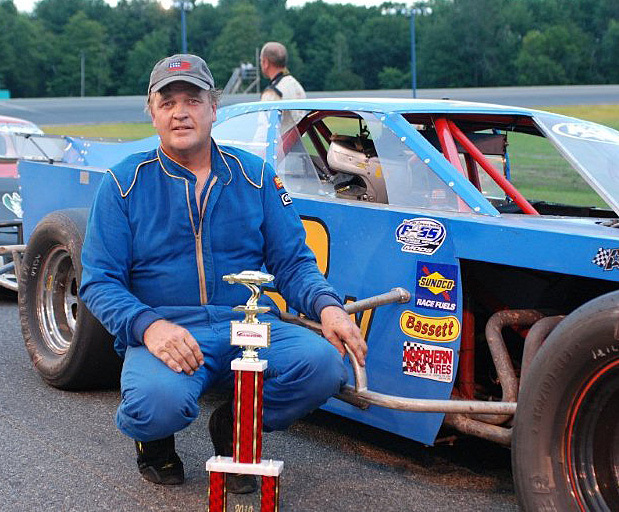 Naples ME (8/1) Andy Shaw came back strong after an early race tangle to pass Scott McDaniel on a lap 25 restart and win his third Pro All Stars Series (PASS) Mod feature of 2010 at Groveton New Hampshire’s Riverside Speedway. The win was Shaw’s eighth feauture victory in the ultracompetitive PASS open wheel division. Canaan, New Hampshire - The PASS Mods took to the banks at the Awesome Asphalt at Canaan Speedway Saturday for their second visit of the season in 2010 with Waterboro Maine’s Billy Dixon charging from the rear to take the victory. Starting from the pole position Richard Ferreira of Raynham, MA took the command at the front of the field over Sumner Sessions. On lap three caution was displayed for the 33 of Billy Dixon after contact coming off turn 4 causing the driver to spin into the infield dropping him to the rear of the field. On the ensuing restart Ferreira once again took the lead with Hebron Maine’s Alan Wilson in pursuit until lap 6 with Wilson making the bid on the inside to pace the field with Livermore Maine’s Scott Mcdaniel closely behind. Wilson and Mcdaniel set a quick pace and opened up a 15 car length lead over the hotly contested battle for third with Bridgeton Maine’s Jon Brill, North Conway New Hampshire’s Andy Shaw as well as Arundel Maine’s Wayne Whitten Jr. until lap 27 when contact between Kevin Douglas and Wanderson Oliveira sent Douglas spinning bringing out the events second caution. On the restart the second place starter of McDaniel failed to come up to speed which triggered a multi car altercation at the start involving McDaniel, Shaw, Whitten and Sessions ending the day for Whitten. Once back underway Wilson assumed command until lap 31 when Dixon charged by Wilson off turn 2 to pace the field the final laps to pick up his first victory of the season. Wilson held on for second recording his best finish of 2010 in his first season with the series and Brill placing third. Rounding out the top 5 were Ferreira 4th and Shaw 5th. Dixon’s Victory makes him the 5th different winner in 6 events in 2010. The PASS Mods next event will be on Saturday July 31 at Groveton New Hampshire’s Riverside Speedway with the PASS North Super Late model Series. Winner Andy Shaw #66; and Jon Brill #77, 3rd. Winner Wayne Whitten Jr. #2; and Scott McDaniel #14, 3rd. WINNER ANDY SHAW, #66; & JON BRILL #77, 2ND. Winner Leo Oliveira #53; and Scott MacDaniel #14, 2nd. Jon Brill, Winner Chris Staples, & Wayne Whitten Jr.
Chris Staples has seen success in nearly every Pro All Stars Series (PASS) North division; he’s a two time Mod champ, he’s raced up front in the now dormant Outlaw division, and he has a Beech Ridge super late model win to his credit. 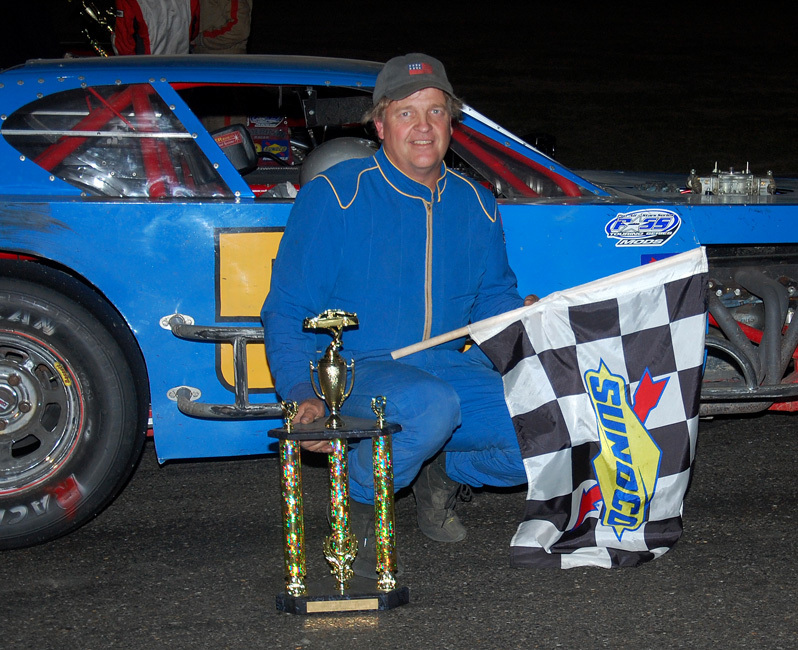 Saturday Staples returned to Beech Ridge one year after his first super late model victory, but this time he was back behind the wheel of his PASS Mod. 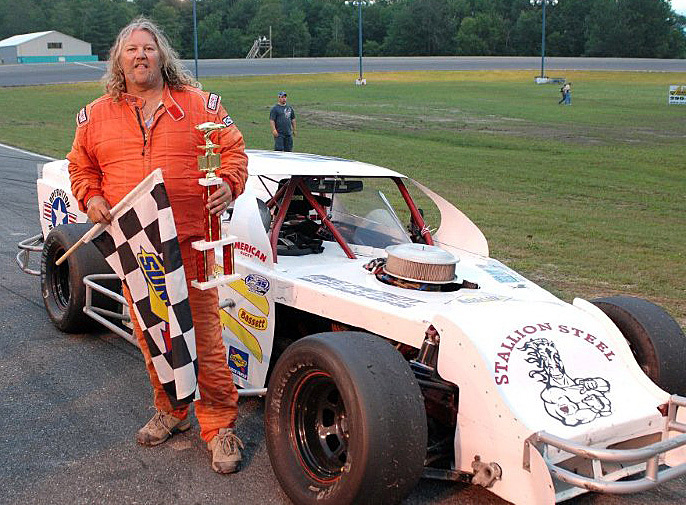 After a year’s hiatus from the PASS Mod ranks, Staples returned to victory lane in the open wheel series lid lifter at the Scarborough Maine speed plant. Staples now has twelve wins in the fast, fun and affordable series. Wayne Whitten Jr. charged through the field for second and John Brill started his season off right with a third place finish. Early leader Greg Ellis settled for fourth; Bill Dixon, Andy Shaw, Kevin Douglas, Scott McDaniel Sumner Sessions and Wanderson Oliviera claimed fifth through tenth. A ten minute red flag for an incident that saw Ryan Morgan park his mod atop Andy Shaw ride was the only flag to slow the 40 lap feature. Shaw raced back to sixth at the checkers but the lack of caution flags hindered his forward progress. The entry list featured several teams making their PASS Mod debut including Kevin Douglas in seventh and Alan Wilson, who shook the gremlins out of his new ride to finish eleventh. Shaw and Greg Ellis claimed heat race victories. 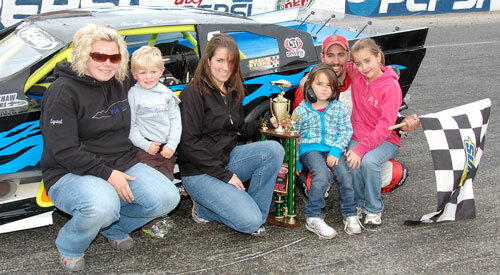 The PASS Mods take a spring break before returning to action at Unity Raceway on June 20. The raceway is on line at www.unityraceway.info.